Learning and Development (L&D) programs are a critical component of an organization’s health. Without strong L&D programs, employees will have a harder time being productive, moving up in the organization, and contributing to overall financial performance. Additionally, it can also lead to lower employee engagement and increased turnover. However, despite the obvious positive effects of L&D, most efforts go without any success measurement or insights into how they impact the overall business. According to one ATD report, only 35% of talent development professionals surveyed reported their organizations evaluate the business results of learning programs. Furthermore, only 15% measure the ROI of any learning programs. While “reports” of who attended or feedback forms on trainers are not uncommon, without a connection to outcomes, the L&D organization is hard pressed to answer the most important questions to their success. This makes L&D less of a valuable organizational driver and more of a nice-to-have. 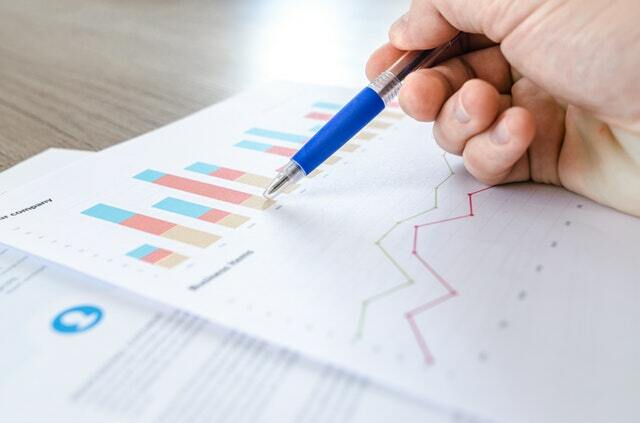 By incorporating analytics into L&D, there are some long-standing benefits that can be achieved, and provide valuable insights into the impacts they have on an organization. In fact, analytics can solve the most challenging questions facing L&D programs today. Let’s take a look at just of few of these questions. Do L&D programs keep your employees from leaving? Retention is critical talent and top performer is a key objective for most organizations. L&D can address this problem; in fact, one Culture Amp study found that people who stay with an organization are 24% more likely to say that they have had access to the learning and development they needed. But how do you know for sure that your L&D efforts are improving retention rates? Analytic insights can determine the correlation of those taking training programs to turnover, or highlight particular training programs that lead to the longest-tenured cohorts. With this information, you can determine which levers to pull to further increase employee retention based on the programs the data has revealed as most successful. Does L&D improve employee performance? Strong performers can make the difference between hitting business objectives and missing them. Yet, it has been challenging for L&D leaders to connect learning investments with performance outcomes. One approach has been to run an experiment with a control group. For instance, a consumer packaged goods company that wanted to know if product expertise mattered shared with me how they trained a portion of their sales team to be experts on pasta, including its all its shapes, history, and preparation techniques. The cohort who received the product training was compared to those who didn’t, and the data showed those with the training outperformed those without. When budgets are tight, a training program that looks like a history course in pasta is likely to be cut, but when the data shows it increases sales it becomes mission critical. Measuring the impact of a learning program – whether as an experiment or not – at your organization is only possible if you have a learning analytics solution that can connect all your HR and business systems together. This single source of data truth enables you to track, for example, what the ratio of high-performers are to non-high performers who do training, how long it takes performance to improve after training, whether training and certification programs have an impact on improved financial performance and more. Are employees who participate in L&D more engaged with the company? On its own, employee engagement is a traditionally difficult metric to measure. However, studies have shown that L&D plays a role in engagement scores. One study, in particular, suggests that 41% of the fluctuation in employee engagement is driven by activities that learning and development professionals have the opportunity to influence. In turn, 70% of the difference in performance can be explained by the degree of engagement. Analytics help examine employee engagement within locations, departments, and teams to discover if those who are highly engaged are the same individuals that have recently completed a professional development program. Likewise, learning data can reveal which groups have the lowest engagement, what factors may be contributing to this low score, and whether more training could improve the situation. By focusing efforts on employees that are more likely to make a positive impact on the bottom line, L&D teams can create more specific career development programs that will hopefully increase profits and productivity. This is where analytics plays a key role. Analytics can be used to identify the individuals who have benefited the most from training over the past few years – these are your high performers who have been promoted within the shortest amount of time. You can then focus some of your programmings on this group. Likewise, look for the employees who have recertification deadlines to meet as they should take priority in L&D development. Analytics can also be used to find the right training programs for the right audiences. Do your high potentials with low tenure in research and development need leadership development or more time to develop rare skills aligned to their role? Traditionally this has been guesswork at best but with data and analytics, these employees can benefit from a targeted career development strategy. Furthermore, you may want to examine the common attributes of employees who have never done training to see what effect this has on performance and whether a new L&D program for this group is warranted. Overall, modern learning analytics technology can connect the necessary HR and business systems together to make it faster and easier to analyze learning data, enabling L&D leaders to answer their most important questions, including what is L&D’s long-term impact on business results. With the right solution in place, L&D can move past the technical hurdle of connecting training directly to its impact on the business and spend more time developing the value learning programs deliver to the bottom line.